Newport Surf Club Members who began the Palm 2 Palms idea with Peter McNamara, Mayor Jacqueline Townsend and Adam Strong of Strongbuild - sponsor of the event and a cyclist. The inaugural Palm 2 Palms Charity Bike Ride was run Sunday March 26th 2015 in weather that, although it has caused problems for many during recent days, was well suited for cycling hard. A great mix of male and females cycled from North Palm Beach to Manly, some finishing one shorter ride on offer there, while others turned and headed back to Palm Beach. Those doing the return ride completed 70 kilometres! In just under three hours. He stated the hardest part of the ride was getting out of Palm Beach – the hill climbs and corners presenting a few challenges to muscles. Mayor of Pittwater, Councillor Jacqueline Townsend gave the event resounding praise and was there to see the cyclists leave in the early hours of Sunday morning and greeted the first gentleman to return. “This is an outstanding initiative that raises funds for well deserving charities and supports one of our great local surf clubs,” Mayor Townsend said on Sunday morning. 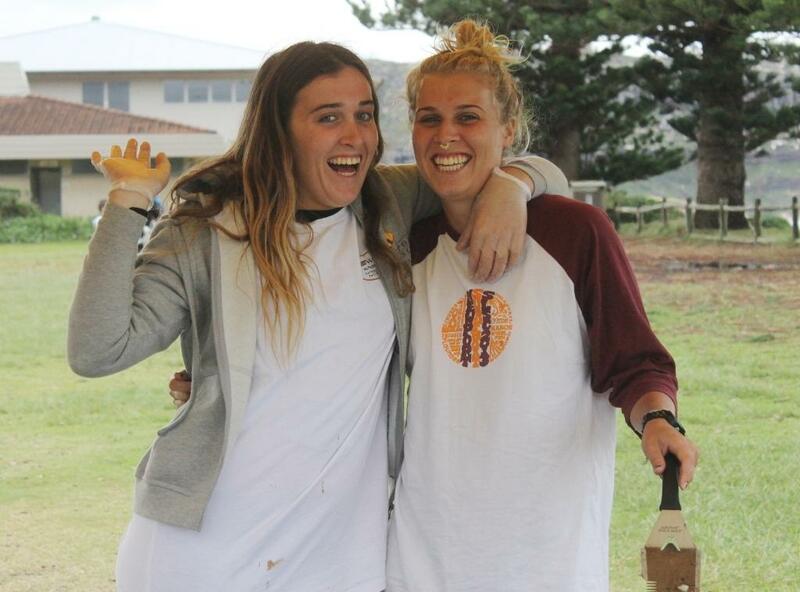 We spoke to Tom Kellaway, Newport Surf Club Boat Captain and one of the organisers of this new community event along with Alex Brown, Lachy Brook, James Brook and Tom Howes, and asked him if he was happy with the way this first ever Palm 2 Palms Ride went. “The best part for this first year was all the feedback we have received this week. Everyone has said it was a really good fun event that didn’t push boundaries too far and was achievable. Some found they pushed themselves but the ride wasn’t too far for them, they enjoyed the challenge. The other positive from this event is that when you do ride down the coats it’s pretty hard not to appreciate the views along the way. It definitely helps when you’re riding the whole way to Manly that there is such a nice outlook the whole way, some of the best scenery in the world. There will definitely be a second event and we’re already looking at running this around the middle of May next year so that people involved in all the activities that surround that Public holiday period, or involved in events that occur towards the end of the Surf Life Saving Season have a recovery period. 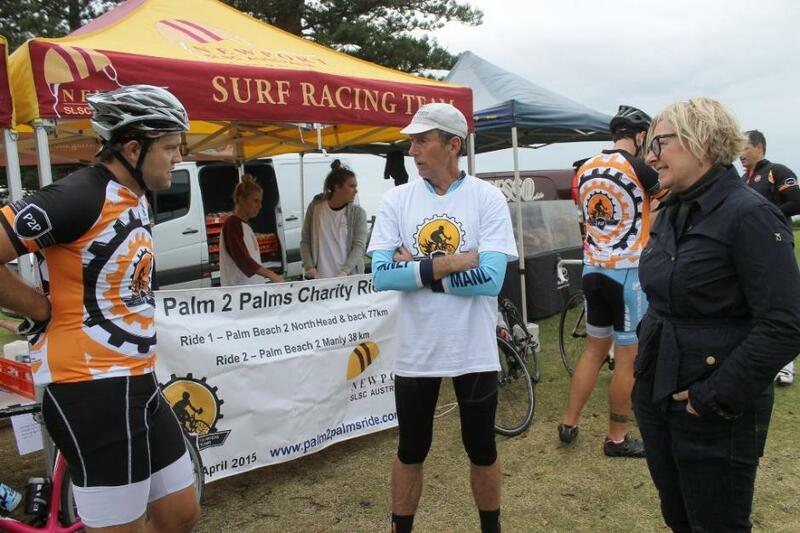 We found this year that many people wanted to do the Palm 2 Palms Charity Ride and had to meet commitments elsewhere. So by changing the run time, and giving people time to recover from the physical side of being involved in the Australian Titles if they’re surf club people, they’ll have time to recover and we’ll hop on the bikes around the middle of May. The main ride will still be called ‘Palm 2 Palms as we’ll start at Palm Beach and end back up at North Palm Beach. We will also continue the shorter ride that we built into the event to encourage people who don’t do as much cycling to get involved with the event. That version will finish at Manly. “Some of this will be allocated to the repair of surf gear at Newport SLSC, equipment that we use on our Patrols. This will make our equipment all ready to go for next Season. The bulk of what has been raised will go to Bear Cottage and the Prostrate Cancer Research Institute. Finally, and from everyone at the P2P, I’d thank you to everyone who turned up and participated. A monster congratulations to our team of riders who completed the Palmy 2 Manly ride, some on a single gear bike, well done Lisa, Pascale, Kev, Tania, Connie, Karen and Fran, awesome effort! A huge thank you to Tim and Adam strong from Strongbuild, our major sponsors, who joined us for the whole ride! 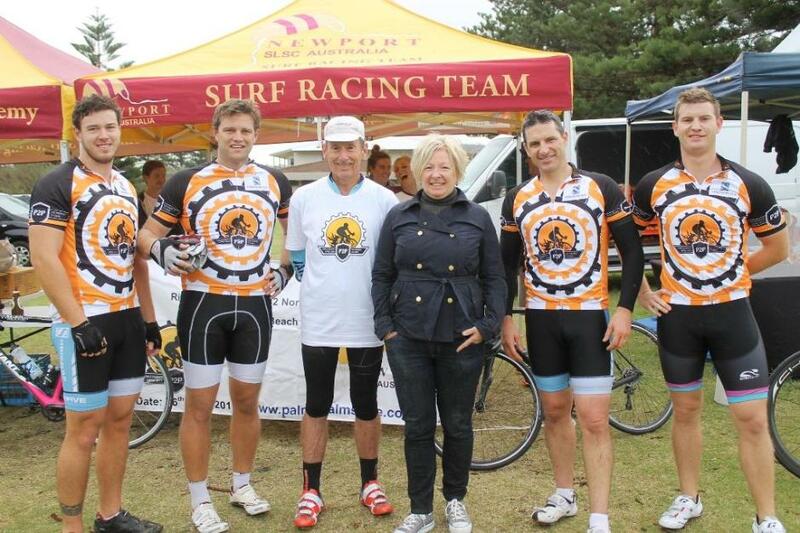 Also a huge congratulations to the Newport mums and Kevin Marr who made it all the way to manly on their cruisers with only 1 gear. Get excited and ready for the 2016 ride people!" Getting ready to start - picture courtesy Jacqueline Townsend, Mayor of Pittwater. Report and pictures A J Guesdon, 2015.